Once in a while I force myself to draw something purely architectural. The result is always humbling. But I know it is good for me. 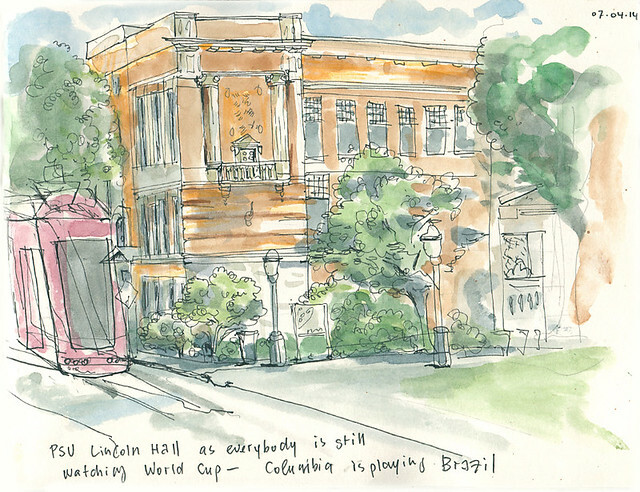 And back to my comfort zone–later that morning. 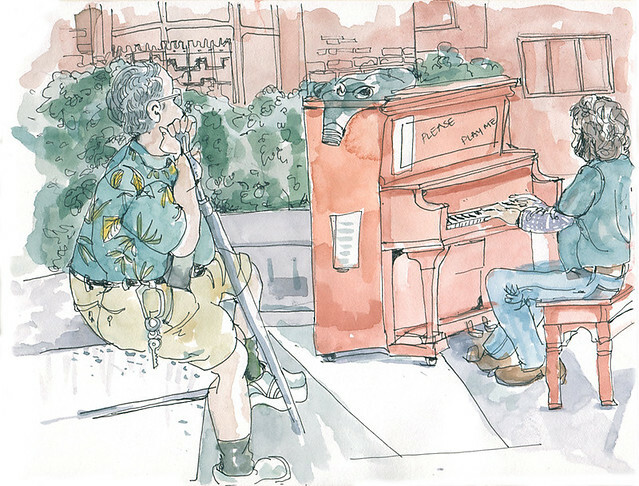 A sketch of a piano player playing the Public piano to a very grateful audience of one. Such a cool concept.